The 118 trees will be delivered by the Navigator Co. to the Chemistry Department of the Faculty of Science and Technology of the NOVA University Lisbon (FCT NOVA), on March 21, the International Day of Forests (or Carbon Day). 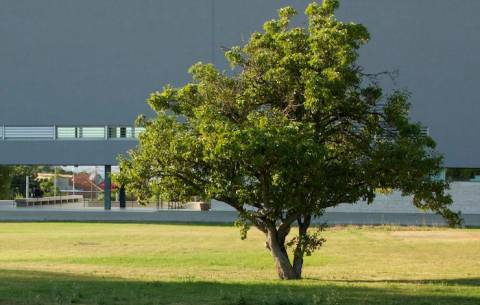 The trees, of 25 different species, will each correspond to a chemical element of the Periodic Table and will form the "Park of the 118 Elements" that will be kept by the students of the Chemistry and Environmental Sciences and Engineering Departments in the first two years of life. FCT NOVA holds the largest "Green Campus" in the country, with more than 60 hectares, and has just announced that it will build the "Park of the 118 Elements", an initiative supported by Navigator Co., which makes this challenge possible, by donating the 118 trees to the Park as part of its social responsibility policy. This action is encouraged by the Department of Chemistry of the Faculty, which in 2019, is strongly associated with the celebrations of the International Year of the Periodic Table and places Carbon in the spotlight, alerting, on the International Carbon Day, to the importance that this chemical element has for the trees, in their sequestration and regeneration of oxygen through photosynthesis. The motto will be "1 tree = 1 element of TP" and aims to remove from the atmosphere 2.5 tons/year of CO2 contributing to the well-being of the environment in the Campus of the Faculty. Each tree will be sponsored by a professor or researcher in the Department of Chemistry and will be planted in a distribution equivalent to the chemical elements in the TP. "We know that these partnerships between universities and companies in socially responsible actions are extremely important in helping to alert young people to societal problems such as climate change, the scourge of forest fires, biodiversity, among others. These actions are also motivating in the promotion of our students' civic competences, a strand that we value in the training we offer ", says João Sotomayor, professor and researcher at the Department of Chemistry of FCT NOVA.